People with mental health conditions routinely experience long wait times in hospital emergency departments. Acknowledging this problem, Executive Office of Health and Human Services Secretary Marylou Sudders convened a task force last spring to develop appropriate interventions. EOHHS, together with the Department of Mental Health (DMH), MassHealth and the Department of Public Health (DPH) created the Expedited Psychiatric Inpatient Admission Policy, a multi-pronged approach that launched on February 1. Daniela Trammel, DMH director of communication and community engagement, explained that the EOHHS chaired and partnered with the Division of Insurance (DOI) in convening a task force comprised of insurance carriers, psychiatric and medical hospital providers, hospital and carrier trade associations, professional associations and state agency representatives to develop a comprehensive plan to address the emergency department (ED) boarding problem. The initiative is intended to benefit any patient in need of immediate inpatient psychiatric hospitalization, particularly individuals with complex behavioral health or co-morbid conditions. To prepare healthcare facilities, insurers, practitioners and other mental health professionals and effectively implement the Expedited Admission Policy, DMH conducted a series of public presentations across the Commonwealth throughout January. According to Trammel, all presentations have been open to the public, with the target audience being direct care providers. Representatives from MassHealth, the DPH and DOI have also been present at these meetings, she added. The revised Expedited Admission Policy, which was previously referred to as the “no reject” policy, requires that inpatient psychiatric placements occur within a reasonable time period. 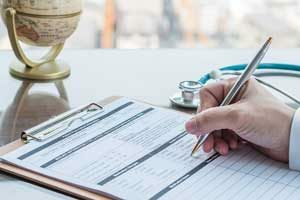 “Under these guidelines, inpatient psychiatric facilities will be expected to admit all patients who meet the criteria for an acute psychiatric hospitalization as long as they have the capacity – an available bed – and capability, the ability to meet the clinical needs of the patient, to do so,” she said. The initiative also notes that if placement is not achieved in a reasonable amount of time, “…senior clinical leadership at insurance carriers, inpatient psychiatric units and ultimately to DMH…” will be charged with resolving any issues, thus reducing the burden on the ED. DMH has also revised its licensing regulations, which will be promulgated in February 2018, to require that psychiatric facilities address the needs of the Commonwealth and have enhanced competencies to treat complex patients, Trammel added. The new regulations should be of primary interest to psychologists who want their patients to receive timely treatment. “Psychologists play a critical role in the diagnosis and treatment of individuals with mental illness, substance misuse and complex behavioral health conditions,” said Trammel.